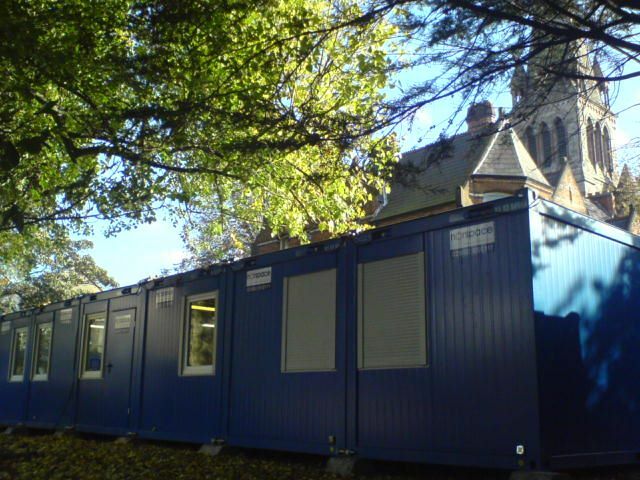 This modular office building was assembled to serve as a temporary church. It consisted of 7 office cabins linked together. Originally this building served as single office cabins. 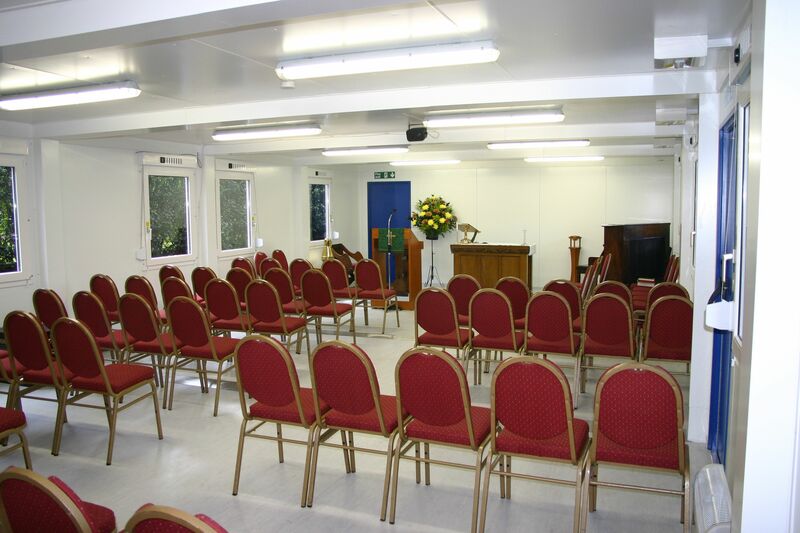 Due to the innovative modular panel system it was easy to achieve the requirements for a temporary church building. 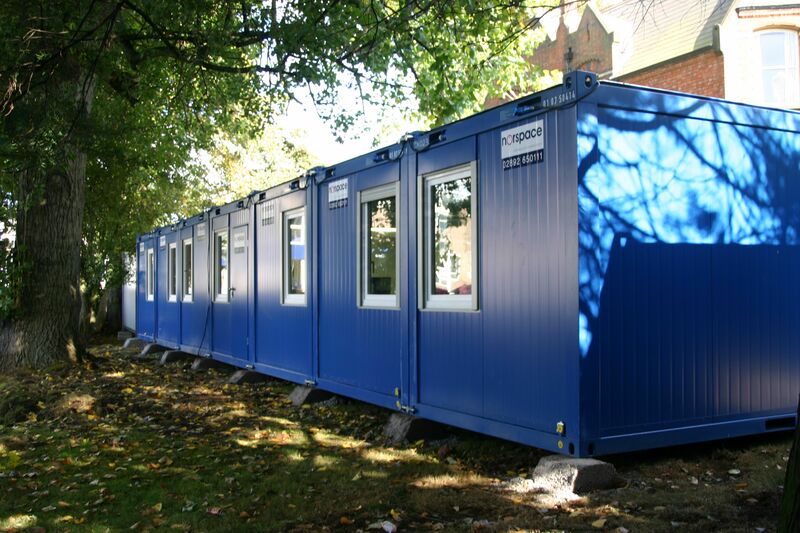 CONTAINEX offers a wide variety of different panels to fulfill the requirements of nearly all environments.